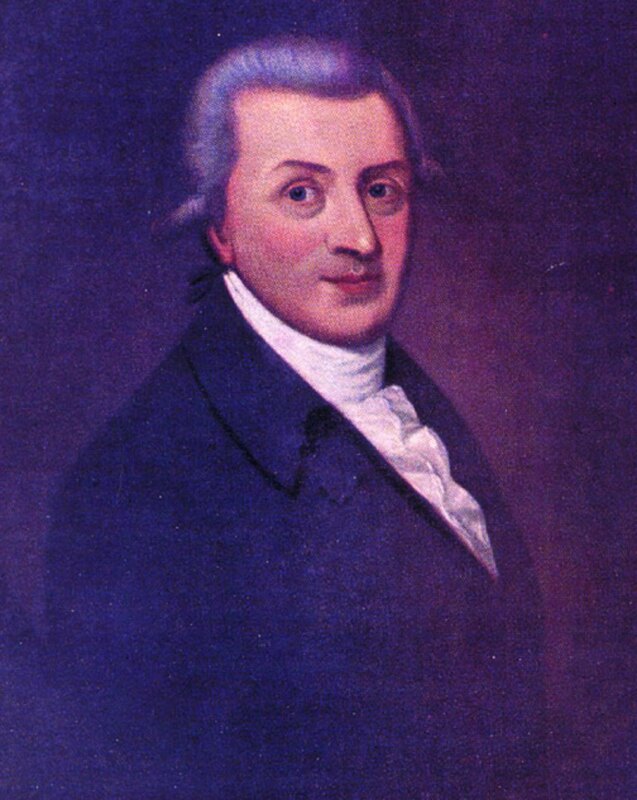 Arthur Guinness, founder of the famous Guinness brewery at Saint James’s Gate in Dublin, was born in Celbridge in 1725 and lived there for 30 years. The inventor of probably the world’s greatest beer, and Ireland’s most famous export, is commemorated by a life-size bronze sculpture in the heart of the village. Created by local artist Jarlath Daly, it’s the only one of its kind anywhere in the world. 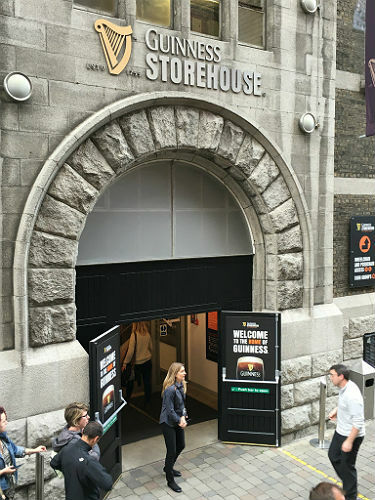 The Guinness birthplace sculpture, a focal point of the North Kildare Guinness heritage, is a ‘must-visit’ feature for visitors to the renowned Guinness Storehouse in Dublin (and indeed Guinness enthusiasts generally). The Arrow train from Dublin’s Heuston Station to Hazelhatch-Celbridge (a 15-minute trip) is a short walk from the Guinness Storehouse and Visitor Centre and of other major Dublin tourist venues such as Kilmainham Gaol, Christchurch Cathedral, the National Museum at Collins Barracks and the Zoological Gardens in the Phoenix Park. From Hazelhatch-Celbridge station visitors can reach Celbridge village and the other featured sites. It’s a 2.4 kilometre walk to the village or you can call a cab: A –Z cabs 01-6270777 or Call a Cab 01-6270444. 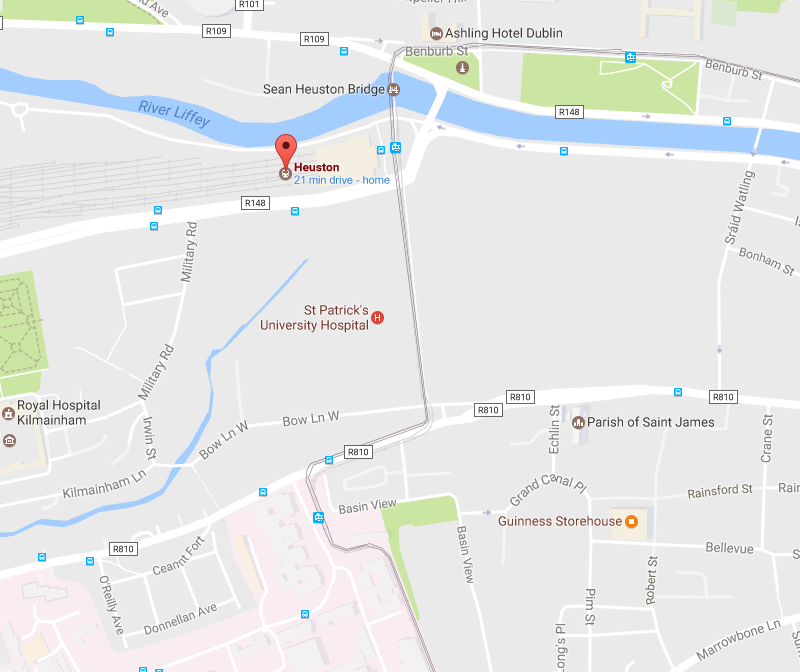 The 120 bus (Bus Eireann) also stops at Heuston Station. Bus stop at the Mill in Celbridge. The 67 bus (Dublin Bus) also serves Celbridge. The perfect place for the perfect pint! Not one, but two pubs in Celbridge village, The Village Inn and The Duck, now share the site where Arthur was born. 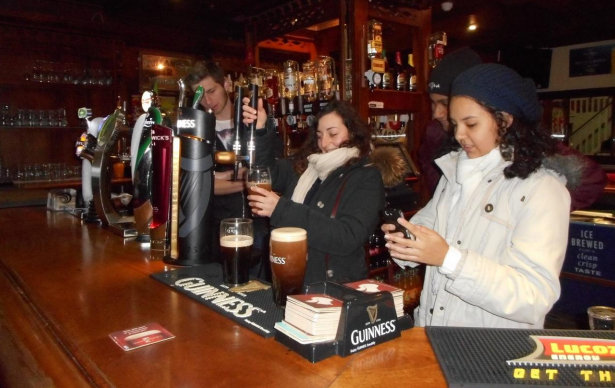 Where better to learn how to pour the perfect pint of Guinness than at the very birthplace of Arthur Guinness in the heart of Celbridge? An experience not to be missed. Take your pick of pubs – or just visit them all! Did you know that an archbishop helped to invent Guinness? Arthur's father, Richard Guinness, came to Celbridge as household agent to Dr Arthur Price, vicar of Celbridge and builder of Oakley Park House (1724), later Archbishop of Cashel. Shortly afterwards, Richard married a local farmer's daughter, Elisabeth Read, who, in common with all women at that time, had the skill of brewing. In 1722 Dr Price bought Carberry’s malt house. This became the home of Richard and Elizabeth and it was here that their son Arthur was born in 1725. He was named after the vicar, who also was Arthur’s godfather and who left him £100 in his will, which the young entrepreneur used to set up his first brewery in nearby Leixlip. It was from these beginnings that the Guinness brewing empire began. In 1759 Arthur Guinness moved his brewing enterprise to the site of a very run-down brewery in St James's Street in Dublin. The rest is history. A new 21st-century phase is now being added to the brewing heritage of Celbridge with the opening of a major craft brewery the ‘Rye River Brewery’ and visitor centre at Donaghcumper on the Dublin Road. 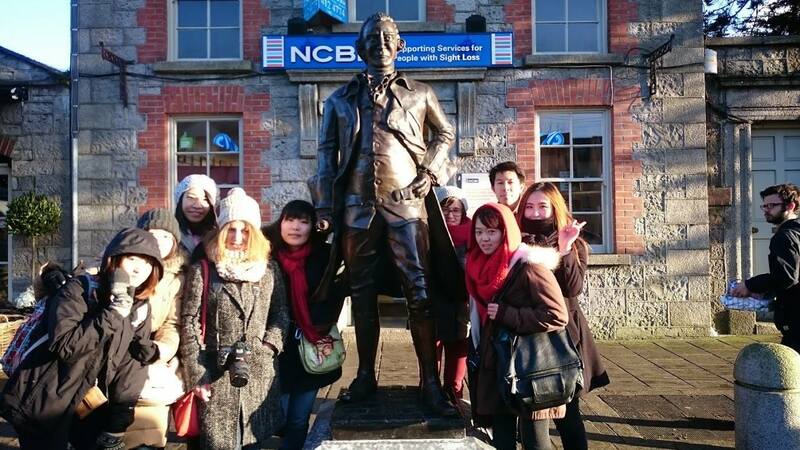 Did you know that Arthur Guinness is buried a few km from his birthplace? Arthur Guinness died in 1803 at the age of 78. 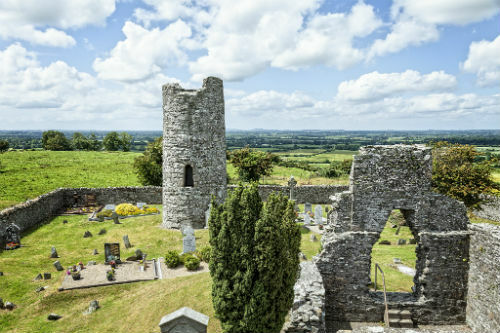 The master brewer and pioneer of enterprise now rests in a stone-walled hillside churchyard at Oughterard, a 15 minute drive from Celbridge, under an ancient round tower. This Early Christian monastic site is where Saint Bríga (Brigid) founded a monastery in the 6th century. The early Irish manuscripts, or Annals, record that Viking marauders under Sitric Silkenbeard burnt down the monastery in 995. Now a very peaceful place in a rural setting of outstanding natural beauty, Oughterard is the final stage on a heritage route tracing Arthur’s earlier life from nearby Leixlip, his first brewery site, through his Celbridge birthplace, to the Grand Canal - for many decades a transport route for the famous ‘black stuff’ – on to this, his final destination, to join his mother Elizabeth Read, and her people.